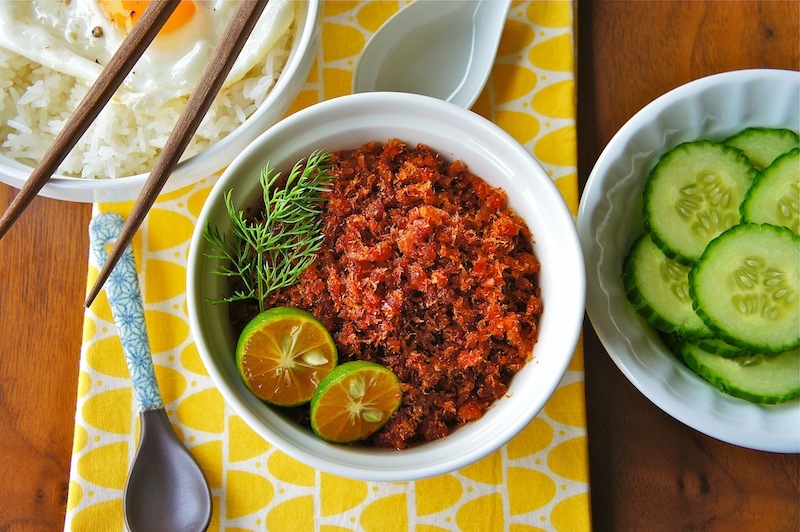 This classic Malaysian condiment, Spicy Dried Shrimp Floss is a very versatile side dish. 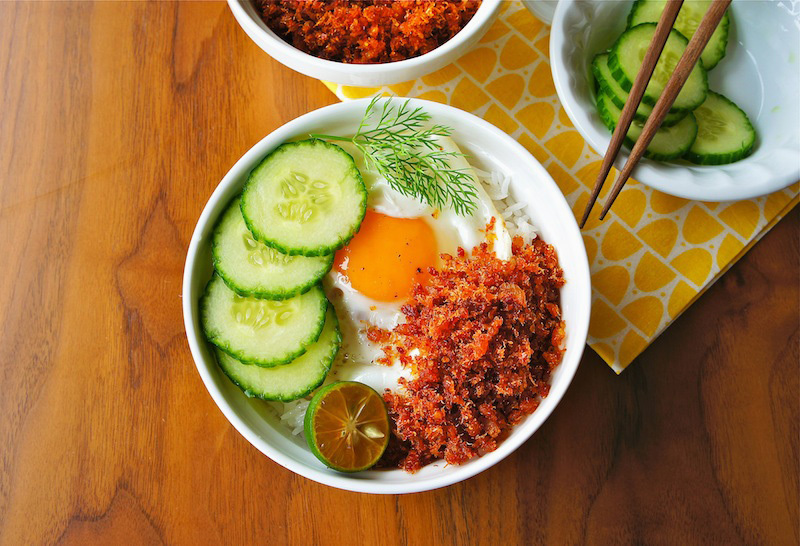 Here, I am enjoying it with just some steamed rice as a quick meal. It also tastes great as a savory bread spread, or used as a stuffing in baked pastries/buns. I usually make a big batch and store it in the freezer for later use. Just bring the floss back to room temperature when ready to serve. What an interesting concoction. I will try to remember the ingredients when I get to my distant Asian market sometime in January. Happy new year.